Rubber is generally a resistor, which is advantageous for insulation purposes but can also result in a buildup of static electricity. Static attracts dust and can cause sparks. Conductive Rubber Tubing – NewAge® Industries, Inc.
To avoid the sparks from friction, conductive rubber tubing allows electricity to easily pass through it, minimizing the creation of static electricity and protecting the tubing and environment. Conductive rubber tubing may have a conductive liner inside to lessen the resistance even more. 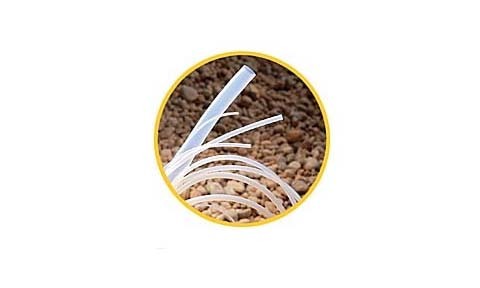 These tubes are used in circumstances where an electrical current is present, like if the rubber tubing is connected to an electronic machine or device. They are not, however, intentionally part of an electrical circuit. They are designed to transport liquids and gases, and being able to conduct electricity is an added feature. Conductive rubber tubing is used for military, aerospace, laboratory and automotive applications in which the presence of dust would be counterproductive or the threat of a spark and fire would be dangerous. Conductive rubber tubing is also used to guard against electromagnetic or radio frequency interference. Natural rubber is derived from latex, which is produced by several species of plants, mostly notably the Pará rubber tree. When the tree’s bark is cut, it drips latex, which is then collected and processed. Synthetic rubber is made from a variety of petroleum-derived molecules. Chemicals are mixed in to add certain desirable properties such as enhanced durability, fluid flow and tensile strength. Latex tubes are made through several processes including extrusion and dipping; dipping results in a smooth, seamless tube. Another manufacturing technique is mandrel curing, where long, thin cylinders called mandrels or arbors are dipped in rubber. The rubber undergoes a drying and curing process; some tubing is vulcanized; vulcanization is the process of hardening by adding sulfur, heat and other curatives to rubber. Vulcanized rubber tubes are less sticky and have superior durability; tires, some hoses and many other rubber products are vulcanized to improve their performance. To make a rubber tube conductive or anti-static, certain chemicals are added during the manufacturing process. Some conductive rubber tubing is flexible, stretchy and can be cut by a pair of scissors, while other tubing is stiff and not as pliable. Additional conductivity can be achieved through liquids or coatings inside the tube. Conductive Rubber Tubing Conductive rubber tubing is made from natural or synthetic materials and provides a pathway for liquids and gases that allows electrical currents to travel along the flow line in order to avoid electrostatic discharge.